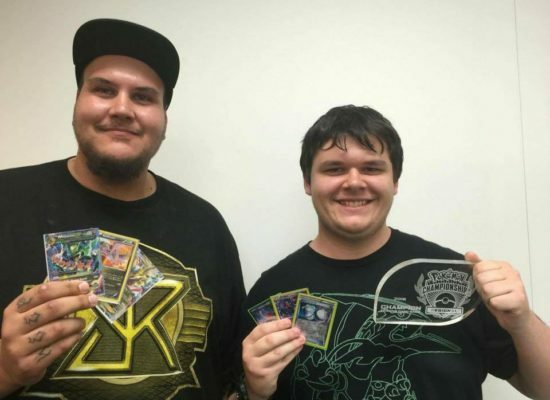 The North American International Championship proved to be the last and definitely NOT the least of the International Championships in the 2017-2018 Pokemon season. With over 1500 players turning up for the event, it was certainly the best attended event in the journey to Worlds 2018. 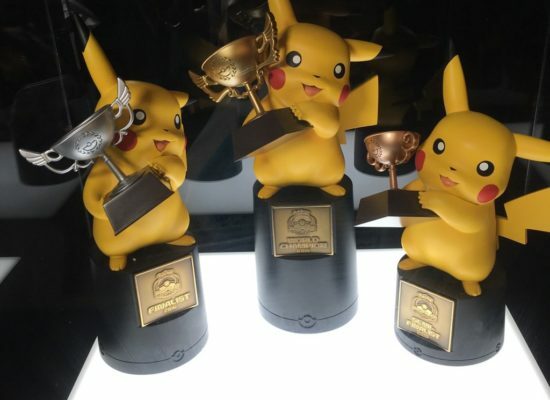 There were a number of surprises that came with the final IC – which is quite surprising, given that the previous International Championships have been quite set in their metas. The big rogue deck of this event was Yveltal BREAK – a deck that had four representatives in Day 2; one of which made top 8 and another finish in the top 16. To provide more insight into how or why this deck performed so well, I spoke to Clifton Goh – another member of the Ace Trainer Australia professional team. Clifton piloted the deck to a 34th place finish, and was the only player from Oceania to make Day 2 of the tournament. Whilst not all of the Day 2 lists have been made available, Limitless.com have been able to get their hands on Aaron Tarbell’s (8th) and James Arnold’s (56th) lists. Both lists play a one-off Yveltal from Shining Legends. For a double colourless energy, this Yveltal can attack with Strafe, which allows you to switch Yveltal with a Pokemon on the bench. Strafe Yveltal is to work in tandem with Hoopa from Shining Legends, which has an ability that prevents EX/GX Pokemon from damaging Hoopa. Safeguard Pokemon have always seen some play or success in the Pokemonmetagame, and Hoopa is no different. Gustavo Wada finished 9th in the NAIC with an Attacking Hoopa list, and was as close as you can be to making Top 8 without actually making it. It’s important to note that James did not play Hoopa in his list, choosing instead to go with Espeon EX for the devolution effect. Aaron opted for more disruption in the form of 2 Enhanced Hammer and 1 Parallel City, while James elected to go for more Pokemon retrieval with 3 Rescue Stretcher and 2 Reverse Valley for extra damage. 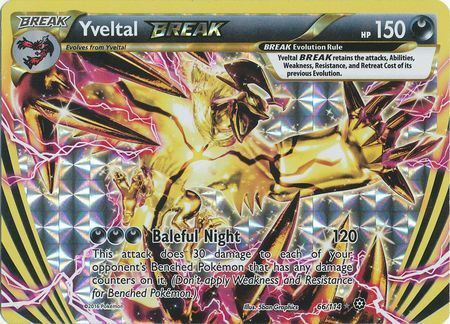 Both lists ran 4 Max Elixirs – an important card in helping make sure that the 3 Darkness Energy requirement for Yveltal BREAK’s Baleful Night is met. Yveltal BREAK is the main attacker of this deck. It’s attack “Baleful Night” does 120 damage to the active while also doing 30 damage to each of your opponent’s Benched Pokemon with any damage counters on them. Other positives of this card include: a beefy 150 HP, a one-prize attacker, resistance to fighting, and a darkness typing that has relevant weakness matchups in the metagame. The spread-style of this card also helps in when attempting to play around cards like “Beast Ring” or Buzzwole’s “Sledgehammer” attack. Yveltal from XY also makes a return to the spotlight, having been an oft-used card in the meta since its creation. It’s first attack “Oblivion Wing” allows it to accelerate basic Darkness energy from the discard pile to the bench – another way of speeding up the “Baleful Night” attack. Tapu Koko and Latios both serve the same purpose in this deck – spreading damage in the early game. Baleful Night’s usefulness as an attack increases exponentially with each damaged Benched Pokemon your opponent has, and spread damage attackers are incredibly important in achieving this. Whilst the strategy will differ from deck to the deck, the general idea is to set up early damage with Tapu Koko or Latios, while setting up aYveltal BREAK on the bench. Once Baleful Night can start hitting critical numbers, you should be swinging with Yveltal BREAK, taking multiple prizes at one go. That leaves room for 10 extra cards. One interesting aspect of this deck is that you can build it to your liking. Aaron Tarbell designed his to take more a slow approach – the Enhanced Hammers and Hoopa SHL are indications of this. Against certain decks, the idea would be to hide or wall behind an early Hoopa SHL while you set up your bench, or to play a more control-oriented style and spread damage with Tapu Koko while denying your opponent with Hammers or Parallel City. James Arnold took a more aggressive and spread approach. By playing two counts of Tapu Koko and a heavy Rescue Stretcher count, he focused more on spreading early damage with Flying Flip, following up with a Baleful Night, and then finishing off with a Miraculous Shine from Espeon EX. Moving forward, I would lean more towards Aaron’s list. The inclusion of Hoopa is key, especially with the NAIC showing that Zoroark decks are still the deck to beat. The Espeon EX is a cheeky way of stealing wins, but I question how frequently you’ll be able to pull that off successfully – the Psychic weakness isn’t ideal, either. Oranguru SUMO: With only one Tapu Lele GX in the deck, the deck lacks a consistent draw engine. This is where Oranguru shines – while drawing until you have three cards in hand might not seem impactful, it could provide outs and is simply better than no draw at all. Latios SHL: I touched on this above. It’s another Pokemon that spreads damage, albeit at a smaller scale than Tapu Koko. Float Stone: This wasn’t included in the core list, but I do believe that this is almost a near-must include in the deck. Yveltal, Mewtwo, and Oranguru all have a retreat cost of two energy. Reverse Valley: The extra 10 damage that this stadium provides could be important. A Baleful Night hits for 120 damage – which isn’t enough to OHKO a healthy baby Buzzwole. It is also a counter-stadium in a deck that doesn’t play stadium removal. Field Blower: Whilst not the most impactful card that one can add to the deck, Field Blower could be clutch in removing Parallel City or Fighting Fury Belts that your opponent might be playing. It is important to note that many Malamar variants are playing the aforementioned two cards in their lists. Overall, I think Aaron’s list is very refined and would be as close to the best 60 cards that one can ask for. Heading into NAIC, many were expecting the top three most represented decks to be: Malamar Variants, Buzzwole GX, and Zoroark variants. The top 64 meta share was indicative of this – with all three decks seeing healthy representation. Addressing all possible matchups for Yveltal BREAK would be near impossible, so let’s just focus on those three decks. Post Madison Regionals, most Buzzwole/Lycanroc decks have tended to focus more on Buzzwole from Forbidden Light. The 130 HP one-prize monster can wreak havoc with all the damage modifiers that come in the form of Diancie Prism Star, Strong Energy, Beast Energy and Choice Band. Yveltal from XY is almost a direct counter to the baby Buzzwole. With similar HP and a resistance to Fighting, it can match baby Buzzwole’s aggression hit for hit. The Fighting resistance negates Diancie Prism Star’s ability, and Choice Band simply has no effect on Yveltal. Mewtwo and Latios can also make life very difficult for the Psychic-weak Buzzwoles, and by limiting your bench, you’re also playing around Lycanroc GX’s Dangerous Rogue GX attack. 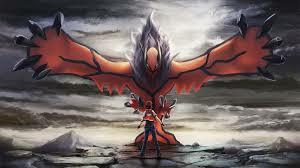 Focus on Yveltal from XY – Oblivion Wing to set up aYveltal BREAK on the bench. Limit your bench to 2 Pokemon to play around Dangerous Rogue GX. Ensure you have access to Mewtwo EVO and Choice Band to deal with a fully-powered Buzzwole GX. Speaking to Clifton, he seemed really confident about this matchup – and it’s no wonder why. The lack of a Diancie Prism Star means that opposing Buzzwoles are only Jet Punch-ing your Yveltal for a measly 10 damage if they have no damage modifiers attached. The additional 30 damage onto your Benched Pokemon can be annoying, especially since it bypasses Resistance, but with all one-prize attackers in the deck, the prize trades will even out eventually. The lack of Lycanroc GX is also another big plus in this matchup. Clifton described Malamar as the deck’s best matchup “by far”. The ideal set up against Malamar is to spread damage with Tapu Koko’s Flying Flip repeatedly, and then clean up the board with a Baleful Night from Yveltal BREAK. Malamar has 90 HP, which equates to three Flying Flips and one Baleful Night. By taking out all of their Malamar (or most), it makes it that much more difficult for them to chain attacks. Hoopa also shines in this matchup. Most Malamar variants have a tendency to skew towards GX-heavy builds, such as Necrozma GX, Ultra Necrozma GX, or Dawn Wings Necrozma GX.Clifton’s plan was to turn to Hoopa if there wasn’t a clear strategy available or to use Hoopa to buy some turns if he needed to set up aYveltal BREAK. On paper, Zoroark variants would prove to be the most difficult matchup for Yveltal BREAK. But again, Hoopa would prove to be the go-to answer for the rogue deck. It’s no secret that most Zoroark variants have traditionally struggled to deal with Hoopa, unless they ran tech options. Zoroark/Golisopod previously had to tech in Oranguru from Ultra Prism, Zoroark/Lycanroc had baby Lycanroc from Burning Shadows, and Zoroark/Garbodor would rely on Garbotoxin. For the first two Zoroark decks, the focus would be to wall behind a Hoopa, while setting up aYveltal BREAK on the bench. The Hoopa would be used to target down the GX attackers, while a fully powered Yveltal BREAK can knock out any non-GX attackers. The additional spread from Baleful Night isn’t important here – you’re simply adopting a grind-it-out strategy. Enhanced Hammers and Parallel City are key cards that help. Against Zoroark/Garbodor, the strategy is somewhat different. Since Garbotoxin blocks abilities, Hoopa isn’t really a solution here. Ideally, you’d want to start with Tapu Koko and spreading damage and then following up with a Baleful Night from Yveltal BREAK. With 150 HP, you should be able to attack with Baleful Night twice, and the damage stacks very quickly. Alternatively, you may choose to target down the Garbotoxin Garbodor quickly, and then go back to walling with Hoopa. With rotation claiming Steam Siege as one of its victims, Worlds will be Yveltal BREAK’s last hurrah. Going into Worlds, the deck does seem somewhat well poised to handle the anticipated field. Rayquaza-GX is a heavily hyped card and deck, and early lists don’t seem to include a non-GX attacker (which opens up the Hoopa strategy again). Some have toyed with the idea of playing it alongside GarbotoxinGarbodor, but that seems counter-intuitive to Rayquaza GX’s ability. Another potential archetype is Banette GX. Fortunately for Yveltal BREAK, Banette GX has a Darkness weakness. Shrine of Punishment: this Stadium card, when played, puts one damage counter on each EX and GX Pokemon in play. Reminiscent of the old “Desert Ruins” card which saw a lot of play in non-EX decks back in the day, this Stadium seems like a perfect fit for the deck. In my discussions with Clifton, he identified that he initially thought it would greatly increase the deck’s power levels, but ultimately decided that it was unnecessary. Hoopa already deals with EX/GX heavy decks, and this was simply a “win-more” card. Hustle Belt: this Tool card, when attached to a Pokemon with 30 or less remaining HP, the attacks do 60 more damage to your opponent’s Active Pokemon. This card could be relevant since many Pokemon struggle to OHKO the beefy Yveltal BREAK. 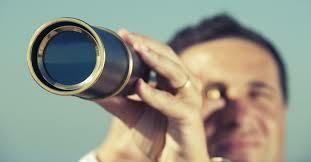 Boosting the damage by 60 also means that a Baleful Night can do 180 damage – a very relevant number. Copycat: “Shuffle your hand into your deck. Then, draw a number of cards equal to the number of cards in your opponent’s hand.”If Zoroark decks continue to be everywhere, this card could prove to be another reliable draw supporter. Tate & Liza: A supporter with two options – Shuffle your hand into your deck and draw 5; or switch your Active Pokemon with one of your Benched Pokemon. It’s definitely an interesting card. It functions as a draw supporter, or a switch option. Given that most of the Pokemon have a two energy retreat cost, this supporter may find a home in this list (although Guzma is probably often the better option). One final card that caught my eye was “Sky Pillar”. When this Stadium is active, prevent all effects (including damage) of attacks done to Benched Pokemon. This card could be tech-ed in as an option to deal with spread damage decks, ie. Yveltal BREAK. If this card does become popular, expect to see Field Blowers and counter-stadiums as a potential solution. So there you have it, a look into one of the biggest rogue decks from NAIC. It’s been a while since we saw the Bacon Bird make an appearance in the metagame, and it seemed fitting that it would make its grand return at the biggest Pokemon tournament to date. I’d like to thank Clifton Goh again, for offering me a lot of insight into how the deck came to be and how it functions. This deck is clearly a result of long hours of testing, and it’s great to see it all pay off with great finishes at the NAIC.